Transition, Inc. Miami-Dade County's Re-Entry Center for Ex-Offenders provides job training and placement services to ex-offenders. Founded in 1974, this Miami-based non-profit has assisted thousands of returning citizens to overcome the single biggest obstacle to a successful re-entry back into the community, finding and maintaining a job. 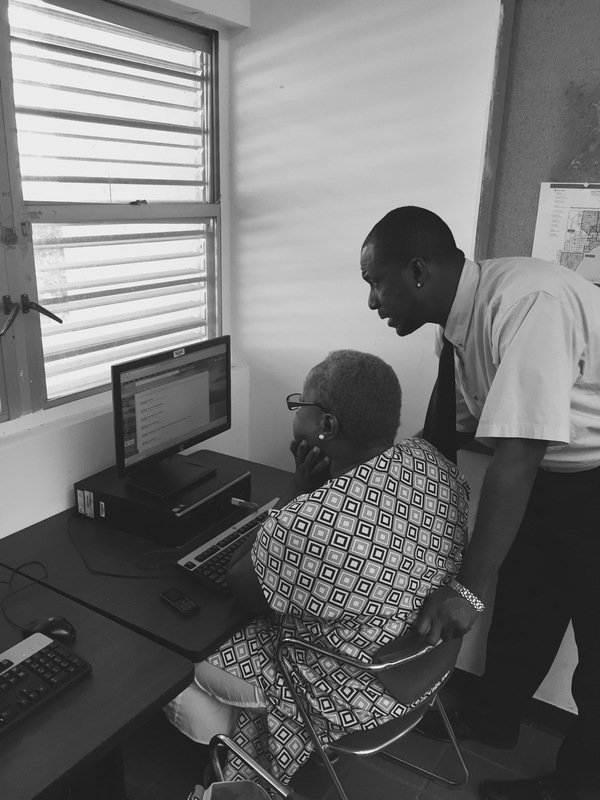 Transition client gets one-on-one assistance in utilizing the computer. Transition, Inc. empower job seekers to achieve economic independence by providing a network of support, professional attire and the development tools to help them thrive in work and in life. Through its contract with CareerSource South Florida, Transition offers a broad array of training to its clients – from Commercial Drivers’ Licensing Classes to Medical Assistant training. Clients are provided with workshops designed to help them gain confidence and self-esteem to enter the workforce and obtain employment. Topics include: basic computer skills, resume preparation, interviewing techniques, proper dress, employer-employee relationships and conduct. Experienced job developers work closely with each client to determine realistic employment goals. Utilizing a database of offender-friendly employers, job developers match employer needs with the skills and experience of the job seeker. Transition provides in-jail services to young offenders of Miami-Dade County’s Boot Camp Program. Each cadet attends work-readiness classes held each night, three times a week, led by Transition’s staff. Prior to release, Transition’s community-based staff assists cadets with obtaining jobs. Transition staff works with clients to remove barriers to successful re-entry and employment. Assistance is provided with transportation, work clothing, tools, and obtaining birth certificates and state-issued identification cards. Gelber, Schachter, & Greenberg, P.A. Learn more about Transition, Inc.
Make a gift to Transition, Inc.